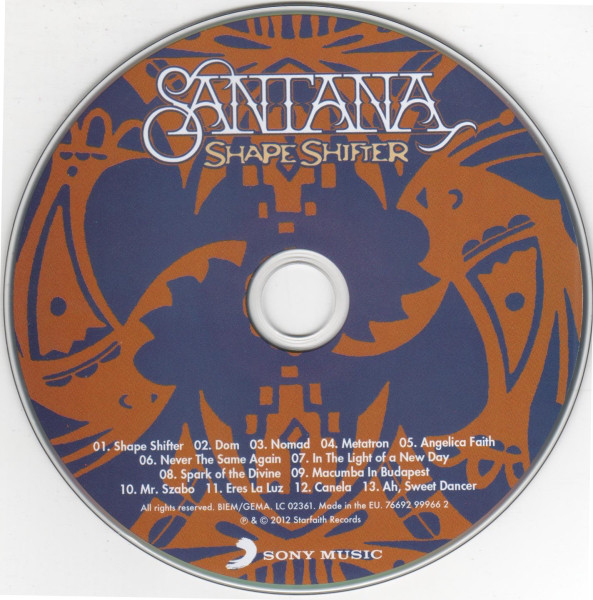 After "Supernatural", "Shaman" and "All That I Am", Carlos Santana decided to ditch the duets with guest vocalists/musicians thing that had, although incredibly successful, had seen him being reduced to something of a bit-part player on his own albums. Here he gives his legendary guitar more of a central role. All but one of the thirteen tracks are instrumentals. For the most part, it is a very Latin album, with some rock riffing too, very much in line with the late seventies through to the nineties material, but without the vocals. 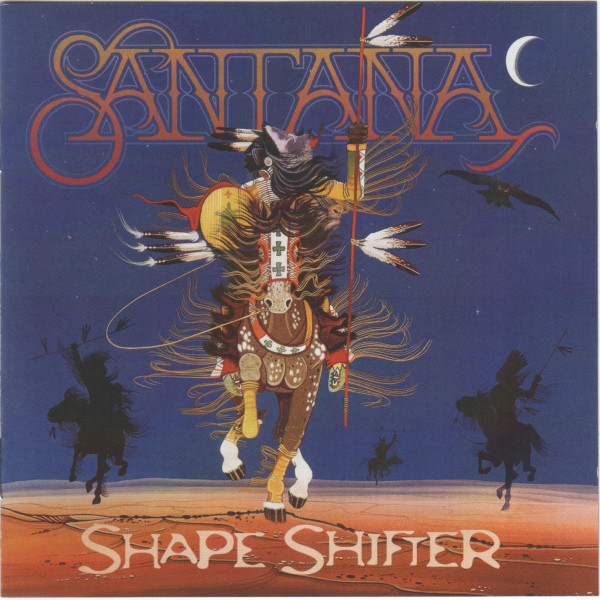 "Shape Shifter" begins with some evocative Native American incantation, before it bursts into rocking life, full of swirling organ, pounding drums and some trademark Santana guitar. It has some heavy riffage in it too. "Dom" has a smoky keyboard backing and features some sharp guitar soloing. The rock grooves of "Nomad" are very much in the vein of some of Santana's early seventies material, with some seriously impressive guitar and organ interplay. "Metatron" is an uplifting, anthemic number with a wonderful refrain and guitar part. Carlos gives himself free reign on here. Good stuff. "Angelica Faith" just sort of washes over you, again featuring the sort of guitar we have come to expect. Indeed the next three tracks, the chilled-out "Never The Same Again", "In The Light Of A New Day" and "Spark Of The Devine" also do just that. A bit of a change in ambience comes with the grandiose melody of "Macumba in Budapest", which merges classical strings and keyboards with some Latin percussion and also some salsa-influenced piano. 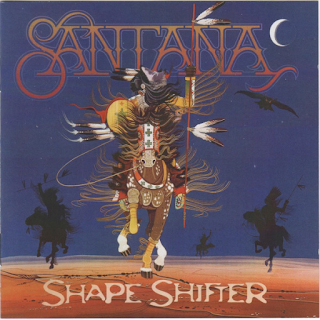 There is no typical Santana guitar in this track. "Mr. Szabo" continues in this style - Latin percussion, big, rumbling bass, but this time including some delicious Spanish-style guitar. These last two tracks have been most appetising. "Eres La Luz" features some gorgeous Spanish guitar before we get some thumping drums and, for the first time, some vocals - in Spanish. It is a typical Santana Latin number such as he released a lot in the late seventies/eighties. "Canela" has some top notch archetypal Santana guitar before it takes us into some seductive Salsa rhythms. "Ah, Sweet Dancer" is a slowie to end on, with some guitar/piano/synthesiser interplay on a peaceful, reflective number. The piano is very classically influenced. It is in fact Santana's son, Salvador, on keyboards. While it is good to hear Santana giving it some virtuosity "wellie" on the guitar again, in comparison with the previous three albums, the album does seem just a little directionless in some ways, but then again, Santana music often was mood music and it serves you well in that respect.